The market is gaining immense growth on account of stringent regulation imposed by EPA and other regulatory authorities on carbon emission leading to ozone depletion. Natural refrigerant provides minimum leakage, high-energy efficiency at a cheaper cost is driving the market growth. Owing to eco-friendly substitute over environmentally hazardous refrigerants such as HCFC and HFC is further fueling the market growth. Also, the rise in disposable income, ongoing urbanization and soaring demand for HVAC and consumer electronics are some of the prominent factors contributing the market growth. The latest report by Value Market Research expects the Global Natural Refrigerant Market to reach USD 2300 million by 2025. It was valued USD 1110.0 million in 2018. The report foresees an 11% CAGR from 2019 to 2025. In 2018, ammonia dominated the segment by accounting the major market share. Rising demand of ammonia owing to energy efficient, eco-friendly, cost-effective, refrigerant that offers better heat transfer is driving the segment growth. Apart from these, ammonia posse’s excellent thermodynamic properties and low global warming potential have again upsurge the segment demand. By application, commercial sector emerged as the leading segment in 2018. Rising usage of the natural refrigerant at supermarkets, hypermarkets, and other retail stores are driving the market growth. On the basis of region, Europe has concurred major market share in 2018. New mandates imposed on EU government on the usage of natural refrigerant as a substitute for HCFC and HFC to reduce carbon footprints are fueling the regional market growth. A-Gas International, A.S. Trust and Holdings, Airgas Inc., Engas Australasia, GTS S.P.A, Harp International Ltd., Hychill Australia Pvt. Ltd., Puyang Zhongwei Fine Chemical Co. Ltd., Shandong Yueon Chemical Industry Ltd., Sinochem Group, Tazzetti S.P.A., and The Linde Group are the players ruling the natural refrigerant market. 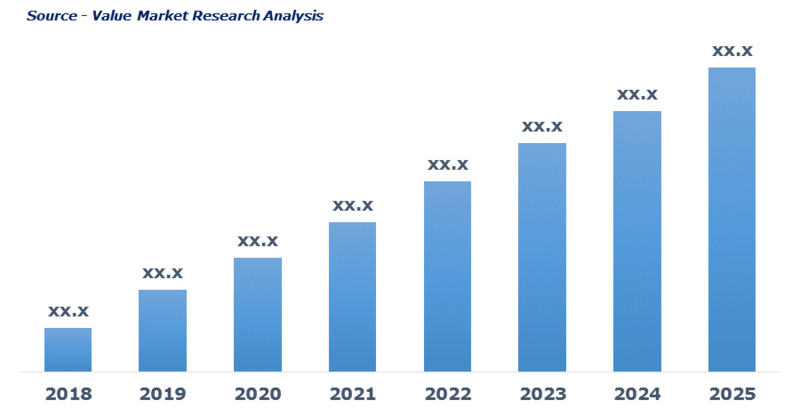 As per this study the Global Natural Refrigerant Market was valued USD 1,110.0 MN (by revenue) in 2018 and is anticipated to reach USD 2,300 MN by 2025 with a CAGR of 11%. Natural refrigerant refers to naturally occurring substance used as refrigerant in refrigerator and HVAC system. These refrigerants show much lower impact on ozone depletion and global warming. Natural refrigerants are eco-friendly alternatives to hazardous synthetic refrigerant such as hydrofluorocarbon (HFC), hydrochlorofluorocarbon (HCFC) and chloroflurocarbon (CFC). Shandong Yueon Chemical Industry Ltd.